Philip Hammond said the Government had now received £20.4bn since it began selling its stake back into the private sector in 2013, having held as much as 43%. Taxpayers now own less than 2% of the group, which includes Lloyds Bank as well as Halifax Bank of Scotland, and the Government hopes to complete the disposal of this in coming months. Its success in recouping the investment comes in stark contrast to the fate of the beleaguered Royal Bank of Scotland which remains 72% state-owned and, the Chancellor indicated recently, could now be sold off at a loss to the taxpayer. The Treasury spent £20.3bn bailing out Lloyds and it has now recovered just over that amount by gradually selling off the holding as well as through dividends. 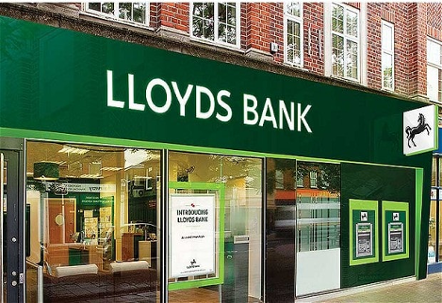 Mr Hammond said: "Recovering all of the money taxpayers injected into Lloyds marks a significant milestone in our plan to build an economy that works for everyone. "While it was right to step in with support during the financial crisis, the Government should not be in the business of owning banks in the long term. "The right place for them is in the private sector and I'm pleased to be able to say we are approaching the point at which we will sell our final shares in Lloyds Bank." Lloyds chief executive Antonio Horta-Osorio said: "It is a moment of huge pride for all of us at Lloyds. "Colleagues have worked incredibly hard over the last six years to play their part in this journey." Laith Khalaf, senior analyst at stockbrokers Hargreaves Lansdown, said: "For the Treasury, the elephant in the room is of course RBS, which required twice as much financial support from the taxpayer as Lloyds. "The RBS share price needs to double from its current level before the taxpayer breaks even on the bailout, and that isn't happening anytime soon."